The apartment was very large and comfortable and everyone (6 persons) were very happy with the accommodation. Fantastic value for the price charged. Owner - Antonio - was very friendly and helpful. Nice location and great staff. 3-5 minutes from the beach. Staff were very friendly,situation was excellent to the Old Town. We loved the beds they were very comfortable. Very positive and helpful staff. Excellent service. Nice and clean rooms. Just a short walk to the beach and close to the old Town. A lot of shops and restaurants nearby the hotel. This is the second time we visited the Elina hotel because it has an excellent location, the room was spacious, comfortable and recently renovated. The staff and the owners were helpful as usual. An excellent hotel with superb location at a budget price. Our room was very comfortable, bed/mattress/pillows (excellent quality). Staff were friendly, helpful and professional. Car parking easy to find. 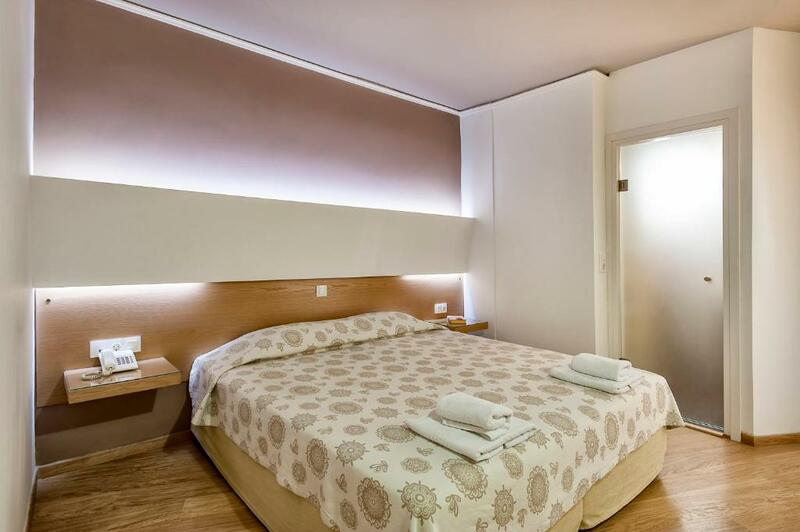 Hotel is located 2 min walking from the beach and 5 min to city center. The location is superb. The 2 rooms apartment we had was big and fresh, well equipped. Beds are extremely comfortable, but the sofa is not good for sleeping on it. Not for an adult at least. Breakfast basic but ok. 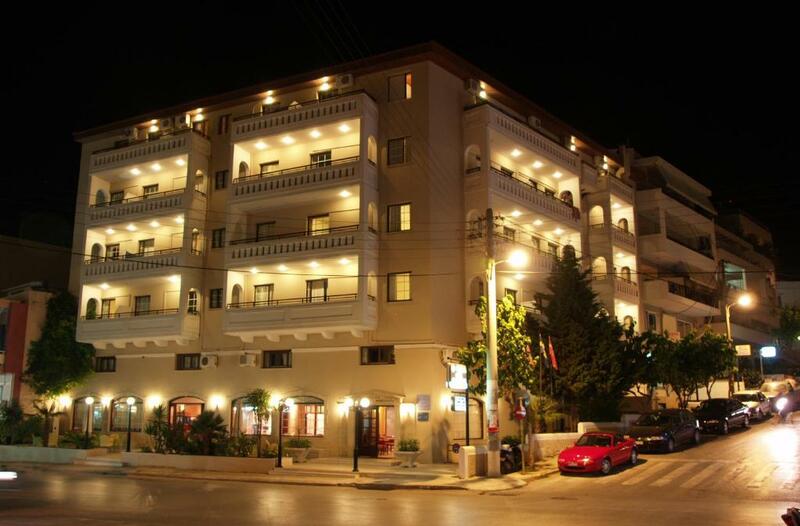 Lock in a great price for Elina Hotel Apartments – rated 8.8 by recent guests! 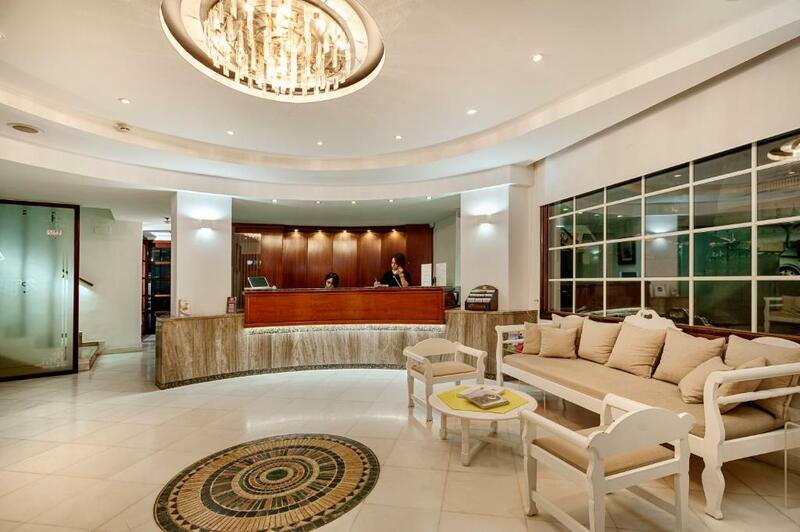 Elina Hotel Apartments This rating is a reflection of how the property compares to the industry standard when it comes to price, facilities and services available. It's based on a self-evaluation by the property. Use this rating to help choose your stay! Only 350 feet from the organized, sandy beach of Rethymno with a variety of watersport facilities, the family-run Elina Hotel features a seasonal outdoor pool with separate children’s section. It offers self-catered accommodations with free Wi-Fi. A 24-hour internet cafe available. All air-conditioned studios and apartments include a kitchenette with fridge and cooking hobs. Spacious and soundproofed with double glasses, each offers COCO-MAT mattresses, a flat-screen TV with satellite channels, safety deposit box and hairdryer. Some accommodations types are split-level. Guests can find a variety of traditional Cretan taverns and cafes, as well as the Old Town with the Venetian Fortress within a short walk from Elina Hotel. Within 400 feet away, guests will find a private parking available upon charge. There is a bus stop right in front of the property that offers connection to the central bus station. This is our guests' favorite part of Rethymno, according to independent reviews. 뀐 Located in the top-rated area in Rethymno, this property has an excellent location score of 9.1! 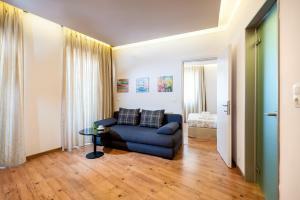 When would you like to stay at Elina Hotel Apartments? This 1-bedroom apartment opens to a balcony and features COCO-MAT mattresses, a flat-screen TV with satellite channels, kitchenette, air conditioning and private bathroom with hairdryer and a bath or shower. These rates are based on 2 adults. Located on the first floor, this studio includes COCO-MAT mattresses, a kitchenette with kitchenware, and a flat-screen TV with satellite channels. Please note that this room type has windows with views to the street and is located above the internet-bar of the property. Spacious, two-bedroom apartment with 3 balconies, COCO-MAT mattresses, a flat-screen TV with satellite channels, a living room and 2 bathrooms. Located on the upper floor, this spacious and air-conditioned, split-level apartment comes with a separate bedroom, a living room, a flat-screen TV as well as a loft with kitchenette and 2 bathrooms with shower. It opens to a balcony with side sea views. Located on the upper floor and featuring side sea views, this split-level and air-conditioned apartment comes with a flat-screen TV with satellite channels, kitchenette and private bathroom with bathtub. Please note that the loft ceiling is very low. Elina Hotel Apartments is a modern, family owned and operated hotel,which consists of 33 spacious recently renovated apartment units. All apartments are air-conditioned and include fully equipped kitchen facility, plasma TV, with satellite channels and safebox. Elina Hotel Apartments is located near the historical centre of Rethymno and within walking distance from the old Venetian buildings, the castleand numerous side streets thta are full of traditional coffee shops and romantic restaurants. The beach is only 100m away and our guests may enjoya variety a sea-sports at special rates. House Rules Elina Hotel Apartments takes special requests – add in the next step! Elina Hotel Apartments accepts these cards and reserves the right to temporarily hold an amount prior to arrival. During the cold season (1 October - 30 April) breakfast is served at the snack bar of the property on request (at least 1 day in advance). Please note that the swimming pool operates from May until September. Please inform Elina Hotel Apartments of your expected arrival time in advance. You can use the Special Requests box when booking, or contact the property directly using the contact details in your confirmation. One of the most picturesque neighborhoods in Rethymno! As for the parking you have to go around a few blocks to find a parking space. Not too far though. We really enjoyed our stay. Very friendly staff, ideal central location, very clean, very comfortable beds. We were also given an upgrade on the room for no extra charge which was great. Lighting was poor, needed more shelf space in the bathroom, my friend and I had to move a table from the living room to put our toiletries on. They need to upgrade the bar area not very clean and poor selection of drinks. We were very disappointed in the pool area 7 sun beds tiny area to sunbathe. It was very misleading in the photos. Due to so central location you can expect a lot of noise day and night, mostly from the traffic. Receptionist lady told us that small studious face backyard and are more quite. So if you are noise sensitive and wish your windows open- this is not the best option. We do not have negative experience other the this.